For years, Nigerian athletes had been taking the back seat, leaving their foreign counterparts to take the glory in marathon races staged in the country. 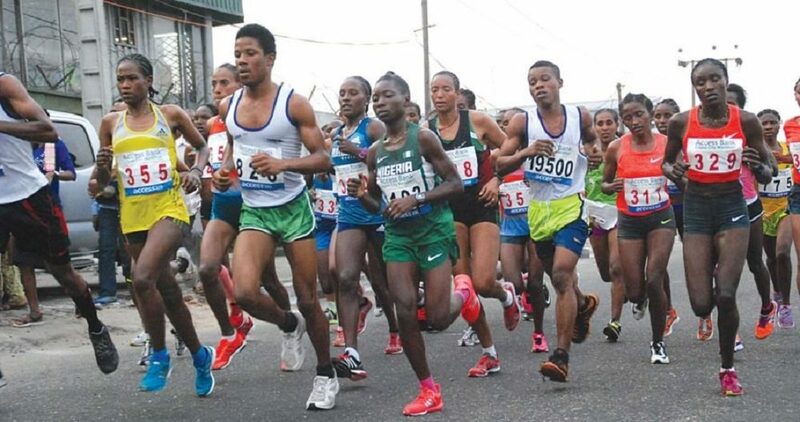 From the tortuous Obudu Mountain race in Cross River State, as well as the Okpekpe road race in Edo State, foreign athletes, especially the Kenyans, Ethiopians and Ugandians, have always dominated the headlines, pocketing the top prize money at stake. It had been so in past three editions of the Access Bank Lagos City Marathon. But last Saturday, history was made when Nigerian female runner, Deborah Pam, achieved a glorious feat, breaking into the overall top female finishers at the 4th Access Bank Lagos City marathon.Pam, who is popularly called Queen of Long-Distance races in Nigeria, finished sixth fastest woman overall, returning a time of 2:52.59 to claim her second consecutive title. Though, some athletics followers say her legs are getting tired, Pam was able to prove that at her very best, she is very diﬃcult to beat. She has continually demonstrated that at every race, what matters are the commitment, zeal and support from the corporate world to achieve the needed results. And after dominating at the Obudu Mountain race as well as Okpekpe road race, Deborah Pam spread her tentacles to Lagos, where against strong foreign oppositions, emerged the sixth best overall, thus becoming the ﬁrst female runner from Nigeria to win back-to-back titles as well as finish within the first 10. Pam pocketed $5,000 in addition to the N3 million she got for being the first Nigerian female runner to cross the finish line. “I can’t believe this,” Pam screamed after getting confirmation that she finished sixth overall. “It has been my dream to break into the top ten, and I am grateful to Access bank Lagos City marathon for giving me the opportunity to achieve my dream,” she told The Guardian. Deborah Pam was not the only gainer at the 4th Access bank Lagos City marathon, as Goyet Gideon equally made big headline in the men’s race. Having finished in the 8th position at last year’s race among Nigerians, the Plateau State runner (Gideon) outran his rivals last Saturday. For the Group Managing Director of Access bank, Herbert Wigwe, the success recorded last Saturday in Lagos was as a result of the bank’s commitment and support towards encouraging Nigerians in the adoption of a lifestyle that would promote good health and well being. Wigwe says the 2020 edition of the race would be bigger and better. “Access Bank will ensure this marathon gets better every year as we target world class outings till we achieve the silver and gold label rating from IAAF. The brave spirit of the men and women that ran today represent the core value of Access Bank’s journey to becoming Africa’s gateway to the world. “Our focus is to advancing Nigeria’s blossoming drive for health and fitness. have made it our responsibility to encouraging the general public and create value for stakeholders,” he stated.Though, there were no new records at the 2019 Access Bank Lagos City Marathon, an elated Wigwe was full of gratitude to all the marathoners from the over 52 countries, co-sponsors, media and Lagos State Government for making the event a huge success. With over 100, 000 runners at the starting point at the National Stadium for the 42km race, and Lekki Toll Gate for the 10km race, it is yet to be ascertained if the 4th Access bank Lagos City marathon succeeded in its bid to set a new world record for the number of starters at a race. The Guinness Book of World Records currently certiﬁes “Run for the Pasig River” in Manila, the Philippines, on December 26, 2010, with 116,086 starters as having the most participants in a running event.New York City Marathon with 50,266 ﬁnishers in 2013 holds the world record for marathons with the highest number of ﬁnishers. While Kenyans won the first two editions of the Lagos Marathon, the third one was won by another Kenyan, who has since adopted French citizenship.This time, an Ethiopian, Sintayehu Legese Yinesu, outpaced Kenyans Joshua Kipkorir (2:18:16) William Yegon (2:19:04) to win the men’s race, clocking 2:17:28 to cart home the ultimate prize of $50,000. The Ethiopians made it one, two, three. Meseret Dinke won the women’s race in 2:48:02 ahead of her compatriots Alemnesh Herpa and Kabena Chala.The winner of the men and women’s Marathon got $50,000 each, while the 2nd and 3rd finishers got $40,000 and $30,000 respectively.The Nigerian male and female winners got N3million each, while the 2nd and 3rd place finishers got N2million and N1million respectively. Winners of the 10km race each got a brand new car from KIA Motors, while the 2nd and 3rd place winners got N1 million and N750,000 respectively.In the Wheelchair category, the top finishers got N1million while 2nd and 3rd athletes got N750,000 and N500,000 respectively. Top Nigerian musicians, including D’banj, Olamide and Teni were at the finish point to thrill the fans.Like Wigwe, the chief consultant of the Access bank Lagos City marathon, Bukola Olopade is also counting the many gains recorded at the 4th edition. “Before now, Nigerian marathoners wait endlessly for events to showcase their talent,”he told The Guardian shortly after the race. “But the Access Bank Lagos City Marathon did not just give them the platform to run, it has also offered them the chance to make big money for themselves. “More goodies await our athletes in the 2020 edition, but my advice is for our athletes to stop complaining and condemning the organisers. They should focus on how to better their living standard by making good use of the many opportunities provided by Access Bank Lagos City Marathon. The IAAF and people from different parts of the world are commending us for the good work we did. 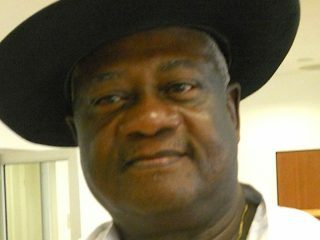 It will be bigger and better in 2020,” he stated.